The appreciation of the Australian landscape was slow to develop. Initially settled largely with convicts from England and, later, people from various European countries including some escaping religious persecution (e.g. Germans in Barossa Valley and Hahndorf in South Australia), the Antipodean landscape was viewed with eyes used to the temperate climate and soft folds of the English or European lowlands. The survival imperative drove the exploitation until well into the 20th century. The prevailing ethos was if it moves, shoot it; if it doesn’t, cut it down; and if it’s lying still, dig it up! Although early artists in Australia have been accused of transplanting English notions of the sublime, picturesque and romantic to the Australian landscape (e.g. Flower, 1975), McLaughlin (1999) analyzed many early paintings and engravings of the Sydney region and found that although they often included features such as Aborigines or striking trees, palms and ferns in the foreground, they were generally accurate in their portrayal of the species and even portrayed the effect of fire on trees. She noted that the arrival of two established artists, Conrad Martens in 1835 and John Skinner Prout in 1840 introduced the picturesque and the Romantic far more strongly in Australian landscape painting. Some early artists including Thomas Watling and William Westall complained about the poor aesthetic quality of the Australian landscape as a subject for painting. “..I believe the English are greatly deceived with the many flattering accounts respecting the beauty of the country and the fine salubrious air of South Australia.” (Letters of Rachel Hemmings, 1854; quoted by Bird, 1989). These few quotes, drawn from hundreds from explorers, colonists and settlers, indicate that although there were many features of the Australian landscape which were unfamiliar, and often the opposite of their experience, nevertheless there was an appreciation of its scenic qualities. Certainly there was a prevalence of comments of the picturesque (i.e. that which would look good in a picture) and the Romantic view, the prevailing aesthetic models of the era, couched within the underlying utilitarian concern for the potential productivity of the land. A form of landscape that drew universal acclaim was the pastoral landscape, including James Cook’s description of the Illawarra region, trees, quite free from underwood, appeared like plantations in a gentleman’s park, Thomas Mitchell’s Fitzroy Downs of northern NSW: the finest country I had ever seen in a primeval state. A Champaign region, spotted with wood..., his Australian Felix of western Victoria with its stately trees and majestic mountains, and Ernest Giles’ description of Central Australia’s Rawlinson Ranges region: The country down below, northwards, consisted of open, sandy, level, triodia ground, dotted with a few clumps of the desert oak, giving a most pleasing appearance to the eye. It is hard to imagine a landscape more removed from the English pastoral scene. Massive change to the original Australian landscape ensued, with the felling and ringbarking (i.e. cutting through the bark around the tree near its base thus stopping sap flow and eventually killing the tree) of the forest trees, drainage of swamps, driving through of roads and railways, and the building towns and cities. Grazing by introduced stock as well as by feral pests such as rabbits removed the shrub layer and native grasses. Under Aboriginal occupation, fire had been used regularly to open the vegetation and drive out game. With European settlement, fires were controlled but they often devastated the land and its inhabitants. The Heidelberg school of painting near Melbourne in the late 1880s, a century after settlement, produced a distinctively Australian ‘feel’ to the landscapes being painted. In the short space of a few years, the en plein air style of painting produced by artists such as Charles Conder, Frederick McCubbin, Arthur Streeton and Walter Withers helped to transform the way in which Australians viewed their landscape. The Sydney periodical, The Bulletin, was founded in 1880 and quickly estab-lished itself with a character of outspokenness, incisiveness, and sardonic radicalism (Heseltine, 1988). Paralleling the impact of the Heidelberg school of painting, The Bulletin published works by the growing band of Australian writers during the 1890s, including Henry Lawson and Banjo Patterson. The bush ballad was a major form of writing at that time. The characteristic attitude of the period was ardent patriotism, the equally ardent socialism, the belief in mateship, and the superiority of bush life to that of the coastal cities. Through art and the written word, the landscape and bush thus became an Australian icon, representing the best or the ideal, cloaked by the rose-tinted glasses of patriotism. That this reconception of Australia was largely accomplished in the decade 1885 – 1895, is remarkable. With the beginning of the 20th century, together with Federation of the nation in 1901, a new confidence became apparent. The national anthem, Advance Australia Fair, speaks of Australia’s landscapes: Our land abounds in nature’s gifts, of beauty rich and rare. The anthem was composed in 1878, was sung at the inauguration of Federation in 1901, but was not formally adopted until 1984. As in England and the United States, Australia initially established national parks to protect outstanding scenery and to provide areas for public enjoyment, with protection of flora and fauna a more recent motivation. The world’s second national park, Royal National Park, was established in Sydney in 1879, seven years after the first at Yellowstone in the United States. Unlike the English model, there are no nationally designated areas of outstanding beauty. However, many State and local government planning strategies provide for development control of developments that might degrade or impair the landscape (e.g. Haynes, 1975, O’Neil, 1975). Australia now has over 500 national parks protecting 28,000 sq km of land, but Australia’s total protected area as contained in the National Reserve System conserving landscapes and biodiversity comprises 9719 areas covering 103,299 sq km or over 13% of the Australian land mass (2013) (Figure 1). Laseron’s book was in the English tradition of using geology to explain scenery. David Corbett’s Geology and Scenery of South Australia (1987) is another example. The post WW2 period saw the emergence of many strands of environmental concern. Concern about the built heritage led to the establishment of the National Trust in all States: New South Wales 1945, South Australia 1955, Victoria 1956, Western Australia 1959, Tasmania 1960, Queensland 1963. Concern about litter as a form of visual pollution resulted in the Keep Australia Beautiful organization to promote litter control. The Australian Conservation Foundation was established in 1966. Nevertheless a distinctive love for the Australian landscape developed, evident in the popularity of tourism and recreation to experience it however remotely, of the abun-dance of beautifully illustrated books, calendars, DVDs and films of the landscape, its extensive use as iconic symbols in advertising, and of the many conflicts which have occurred when forestry, mining, highways and other forms of ‘desecration’ of the landscape have been proposed. Angas, G.F., 1847. Savage Life and Scenes in Australia and New Zealand. Smith, Elder & Co, London. Beaglehole, J.C., (Ed), 1968. The Voyage of the Endeavour, 1768 – 1771. The Journals of Captain James Cook on his Voyages of Discovery. Cambridge University Press. Vol 1. Bird, D. 1989. Gender and landscape: Australian Colonial Women Writers. Sir Robert Menzies Centre for Australian Studies, University of Western Australia. Boyd, R., 1960. The Australian Ugliness. Penguin. Corbett, D., 1987. 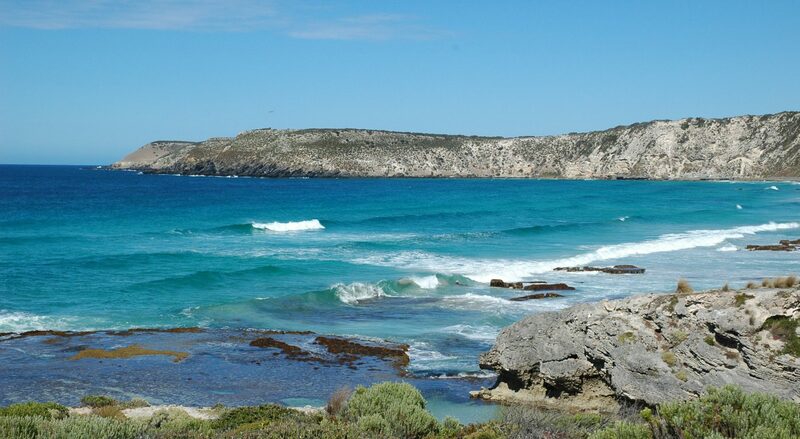 Geology and Scenery of South Australia. Wakefield Press. Flower, C., 1975. The Antipodes Observed: Prints and Printmakers of Australia, 1788-1850. South Melbourne, Macmillan. Giles, Ernest, 1889. Australia Twice Traversed … from 1872 to 1876. Sampson Low, London. Haynes, N., 1975, A review of the present position and proposals in Victoria. ­In: Australian Conservation Foundation, 1975. Rural Landscape Conservation. Heseltine, H.P., 1988, Australian literature, The Australian Encyclopaedia, Australian Geographic. Laseron, C., 1953. The Face of Australia. Angus & Robertson, Melbourne. McLoughlin, L.C., 1999. Vegetation in the early landscape art of the Sydney region, Australia: accurate record or artistic licence? Landscape Research, 24:1. Mitchell, Major T. L., (Surveyor-General), 1839. Three Expeditions into the Interior of Eastern Australia; with Descriptions of the Recently Explored Region of Australia Felix, and the Present Colony of New South Wales. Two Volumes. T. & W. Boone, London. 2nd Ed. Libraries Board of South Australia, 1965. Australiana Facsimile Editions No. 18. O’Neil, F.J., Landscape conservation zoning in NSW. ­In: Australian Conservation Foundation, 1975. Rural Landscape Conservation. Sturt, C. Captain, 1849. Narrative of an Expedition into Central Australia During the Years 1844, 5, and 6. T. & W. Boone, London. Trollope, A., 1873. Australia and New Zealand. London.